Alivio Medical Center in collaboration with the National Council on Aging (NCOA) opened Illinois’ third Benefits Enrollment Center at Alivio’s Pilsen Satellite Senior Center (Casa Maravilla). Through the support of the National Council on Aging (NCOA), Alivio Medical Center (AMC) will provide outreach/awareness, enrollment/ application assistance, advocacy and follow up services for all of the community seniors and people with disabilities with a special emphasis on the area’s largely Latino, Spanish-speaking residents. AMC, a Community Health Center, has been providing primary and specialty healthcare as well as support services to families, seniors and people with disabilities for more than 27 years. “In these uncertain times, it is more important than ever for people to enroll in public benefit programs for which they are eligible. 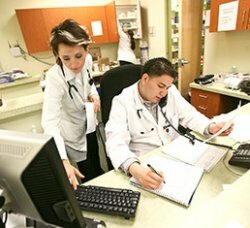 These programs can help families save thousands of dollars every year on healthcare and other costs,” said Chief Executive Officer of Alivio Medical Center Esther Corpuz. The latest Benefits Enrollment Center is located at Casa Maravilla, 2021 S. Morgan, Chicago, IL. 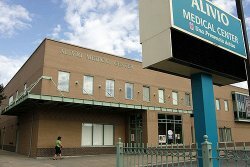 To find out more about Alivio Medical Center, visit http://www.aliviomedicalcenter.org/.